Excellent work! 5* [e digicons]:thumbsup:[/e] Thanks!!!! WooHoo!!! At last!! Renato, these are just wonderful, and the .png file icon is just genius!! Neophil78: I don't use XP around 4 years, so when I do stuff for my I own use , I normally don't include XP stuff anymore, but even though, I guess that i added some of them in this pack. Thank you once again, guys, you are all very kind Neophil78: I don't use XP around 4 years, so when I do stuff for my I own use , I normally don't include XP stuff anymore, but even though, I guess that i added some of them in this pack. They are really top quality as expected from you. Excellent set! Clean, crisp and colorful. Well done as always and thank you for sharing your time and talent. Very beautiful package- and not bad for only 6 MB I've always love your stuff ,Treetog thanks ! Excellent! Works well with Windows 7 Starter! 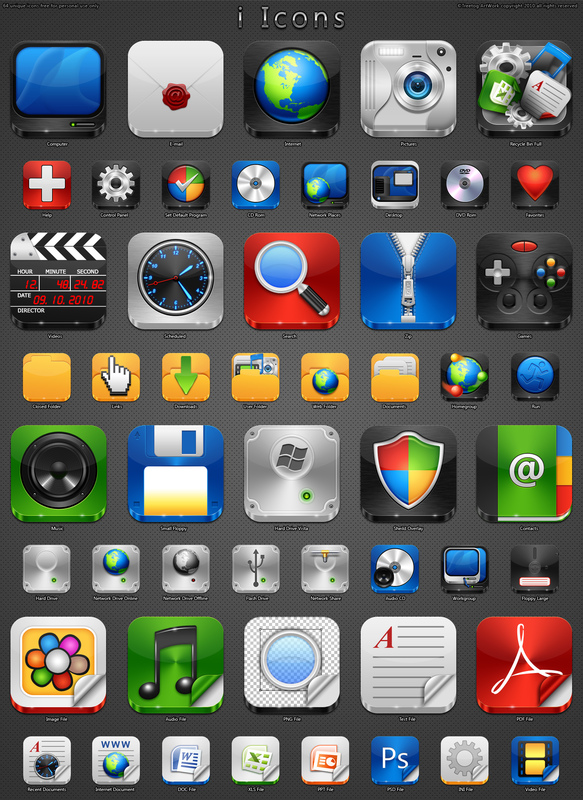 This set of icons is impressive. My only thought about this set of icons, is on the "Links" icon, the hand with the finger pointing up looks a little jagged edged. I do not know how it would fit with this otherwise fantasic set. Maybe a different hand thats more smoothed out to match the overall look and feel of the set? Anyway thanks again for this set and Happy Thanksgivings!